I am incredibly excited to share this week’s resource from the Wide World of the Web, because this resource not only contains the translated work of three phenomenal female modernist poets from South America, but it also helps tell the background story of how these three women came to be bound together in the June 1925 Issue of Poetry Magazine. This historic issue, published in New York during a time when modernists such as Ezra Pound and T.S. Elliot were working out ways to form a new poetic tradition for the 20th century, this June 1925 issue featured an astonishing thirty-one South and Central American poets. Among them were poets Alfonsina Storni, Juana de Ibarbourou, and Gabriela Mistral (featured in Lorraine’s Mira Look post earlier this week). In this amazing resource you will find the poets featured in 1925 organized according to country. You can find Storni’s poem “Running Water” under Argentina, Mistral’s “Ecstasy” under Chile, and Ibarbourou’s “Bond” under Uruguay. All three of these pieces are excellent examples not only of 20th century modernist poetry, but of the perspective of Western educated Latin American women of that time. The same sense of lyrical vehemence is also present in Storni’s “Running Water”, in which she likens her wandering, pleasure and passion to the movements of seawater “intermingling, over the sands.” Storni (pictured above in the middle) was a close acquaintance with Ibarbourou (right) and also struggled working towards women’s rights and recognition. Storni’s heartbreaking death by the sea near Buenos Aires inspired many popular legends, and the song “Alfonsina y el mar”, which can be seen today as performed by pop star Shakira. This perturbed experience with the female body as the site of both perceived beauty and internalized pain can be seen strongly in Mistral’s “Ecstasy”, in which “No perfume but would roll diluted down my cheek”, the female speaker ‘I’ who asks the reader, “What to me are bleeding roses, or quiet snows congealed?” Mistral was in the process of breaking away from strong constraints and Western conventions of formal poetry – as you can see her poem is the only of the three not composed in strict four-line stanzas called quatrains. 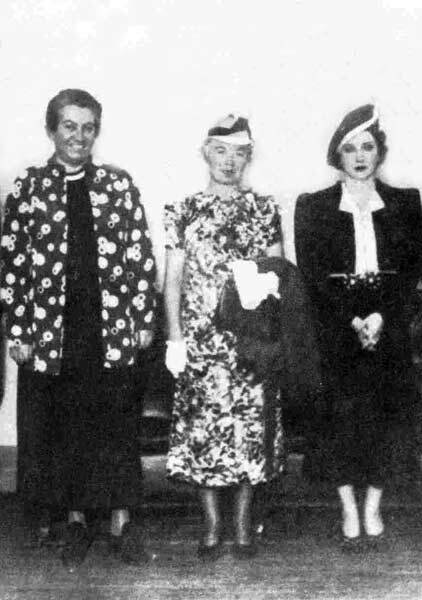 Mistral, pictured on the left above, was awarded the Nobel Prize in Literature in 1945, and is still the only Latin American woman to do so. Neither this nor any other anthology ever printed on the subject of Latin-American poetry is complete or even definitive. I am well aware that not all who are, are here: this is a suggestive collection, a cage in which humming-birds and parroquets, flamingoes and blackbirds are represented… It does little more than suggest, faithfully and gratefully, something of what readers of the poetry of our sister republics may expect to find. Enjoy this ‘cage of lyricism’ and early 20th century Latin American women’s voices. Thanks, Margarita!! I’m so glad you enjoyed it :)) Have a wonderful weekend!